Silver Lake, the hilly neighborhood east of Hollywood and north west of downtown, has become internationally known as one of the best places to live in the U.S. Its creative vibe and unique landscape has turned it into one of the most sought after destinations for residents and tourists alike. With new restaurants, bars and a coffee shop on every corner there is certainly plenty to eat and drink. But what does one do in between meal times in this hipster haven? Below you’ll find a rundown of fun things to do in Silver Lake that’ll help you work up an appetite while getting to know this unique L.A. enclave (listed in no particular order, numbered only for reference). There was a time when the mile-long water-filled basins, were nothing but an eyesore, surrounded by wire fence and dirt. But in April 2011, the City of Los Angeles opened up a three-acre grassy park on the east side of the reservoir for the public to enjoy. The swath of grass, known as the “Silver Lake Meadow” is lined with park benches, trees, walking paths and drought-appropriate landscaping. On any day of the week, you’ll find the meadow reminiscent of a scene from New York’s Central Park; doted with picnic blankets, kites flying and children running. Take a walk or jog around the well-groomed 2.2-mile path which circumnavigates the reservoir before joining the neighborhood locals for a relaxing afternoon in the meadow. 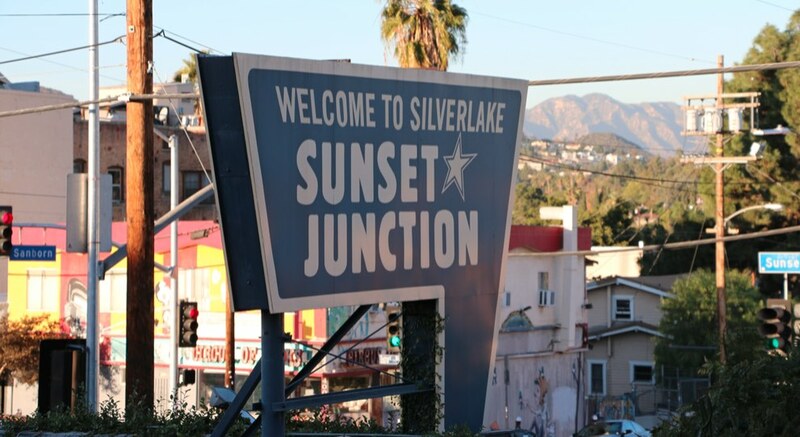 Since the 1990s Silver Lake has been a hub for alternative and indie rock music, a place where many international artists got their start. Be a part of history by catching a show at one of the neighborhood’s legendary venues. Silver Lake Lounge is a tiny, dive bar with a small stage located on Sunset Boulevard across from Silver Sun Liquors, the place from which the band The Silversun Pickups got its name (apparently, band members would pick-up booze from the liquor store during rehearsal). The Satellite (formerly known as Spaceland) has survived its gentrified surroundings by continuing to host local bands in an intimate setting to throngs of enthusiastic music lovers. Enter through a serene courtyard and make your way to the front desk where a calm receptionist with a soothing voice hands you a perfectly folded set of Thai pants and a soft t-shirt. After changing into the cozy pajama-like ensemble, get rubbed and stretched in ways you never thought possible in a sectioned-off portion of a large communal room. Separated by curtains, the space is meditative and the sound of water trickling in the central fountain makes you forget you’re in Los Angeles, at least for a few minutes. At $70 for one-hour, the traditional Thai massage at The Raven Spa is not the cheapest in town, but reaching this kind of maximum relaxation is priceless. Even if you’re just visiting Los Angeles for a week, you should get your hands on Charles Fleming’s book Secret Stairs: A Walking Guide to the Historic Staircases of Los Angeles. The book leads to and around the city’s abandoned staircases, a network of forgotten steps that once connected residence to trolley cars and a light-rail system before Los Angeles was dominated by highways and cars. While in Silver Lake, take the Music Box Loop and admire the distinct mid-century architecture built into the hills. Guides for these unique paths can also be found on the Secret Stairs Website, and a stairclimbers group meets regularly on Meetup.com. Silver Lake might seem like it’s in its heyday right now, but the neighborhood has its exciting history too. No where is this more prevalent than at El Cid, the Flamenco theater/restaurant on Sunset Blvd. In 1925, El Cid began as a speakeasy and in 1963 became the Spanish supper club it is today. On Fridays, Saturdays and Sundays catch a Flamenco show for $15.00 while sipping sangria and dining on tapas and paella. With Trader Joe’s and Gelson’s across the street from each other on Hyperion Avenue, Silver Lake has no shortage of groceries. But when it comes to produce, save your dollars for the farm fresh fruits and vegetables available on Tuesday afternoons and Saturday mornings in Silver Lake’s Sunset Triangle Plaza. 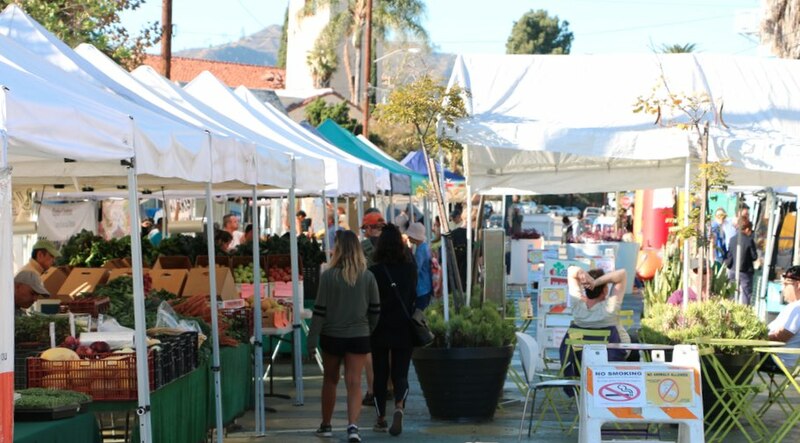 The bi-weekly farmers markets, located just a few blocks from Sunset Junction, are community events small enough to navigate easily and comprehensive enough to provide locals with all of their seasonal produce needs. Silver Lake Farmer’s Market. Credit: Brian Champlin / We Like L.A. If you really want to know where the locals are, it’s called Bellevue Recreation Center. The public park is located on the south west side of Silver Lake (about a 10 minute walk from Sunset Junction) and includes a baseball diamond, soccer fields, a basketball court, two separate playgrounds, public barbecue pits, picnic tables and a 1/2 mile running path that encircles all of it. On the weekends you are likely to see long tables set up with balloons, a piñata hanging from one of the large trees and lots of happy families. Ever dreamed of actually learning how to play that Ukelele you bought in Hawaii? Well, now you can. Located in the heart of Sunset Junction, Silver Lake Conservatory of Music was founded in 2001 by Red Hot Chili Peppers bassist, Michael “Flea” Balzar. The non-profit organization offers a wide range of instrumental instruction. Though their mission is geared toward youths, adults are also welcome. Half hour lessons in everything from voice, to piano, cello, tuba or banjo are available for a mere $30. The third wave coffee, baked goods, sandwiches and shaded outdoor seating at Broome Street General Store on Rowena are reasons enough to love it. But the coffee shop doubles as, well, a general store. Selling a highly curated selection of everything from lotions and candles, to kitchen wares, blankets and jewelry. The owners seem to have an obsession with France: Petite Bateau baby clothes, Mauviel copper pots, Laguiole knives, Duralex Picardie glassware. Francophiles take note. It’s comforting that in a neighborhood quickly being overrun by swanky bars and expensive designer handbag stores, a tiny vintage clothing boutique has remained in Sunset Junction since 1998. Ragg Mopp Vintage offers everything from casual shirts to high end gowns, jewelry and accessories. Their well-picked inventory dates as far back as the 1890’s and as recently as 1990’s. Splurge on a glorious red velvet dress from the 1930s or grab a casual Ramone’s tee-shirt. After visiting the reservoir, Broome Street General Store, or The Raven Spa, walk over to one of the neighborhoods most idiosyncratic landmarks, the chandelier tree. Silver Lake Wine is undoubtedly the best place in the neighborhood to purchase a bottle of vino. But in line with the social vibe of the neighborhood, the favorite wine shops offers a variety of in house tasting events with everything from weekly $15 per person wine and cheese tastings, four-course wine and food pairings for $25 and Thursday night wine flights. As wine is always best paired with food, it is worth noting that some of LA’s favorite food trucks are usually parked right outside of these popular events. How else do you plan to pay for all of those $5 lattes? Crossroads Trading Company has several locations in LA. But its Silver Lake branch is arguably the best. Trade in last years threads for store credit or cash. 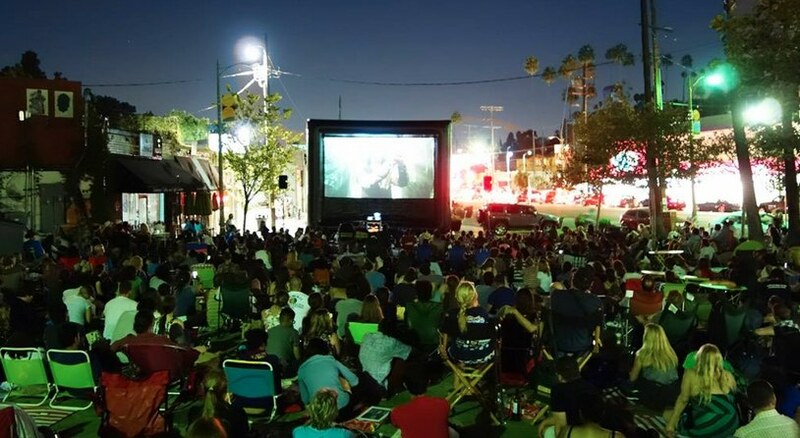 In the same space that hosts the Silver Lake Community Farmer’s Markets, in the summer months the public is welcomed to come and enjoy free moving screenings. Sunset Triangle Plaza is closed off to traffic and makes for an excellent picnic environment. Live bands and screenings of short films by local filmmakers are displayed as opening acts to the feature films shown. The screenings routinely attract around 500 guests and the series claims to have had over 10,000 attendees in total since its inception. No RVSP is required but seating is limited, however, so arrive early to claim a spot. Located on the southern tip of the reservoir, Silver Lake Dog park is the place for canines and their parents to socialize. Dog owners from all over the neighborhood meet there to let their dogs play before or after a nice walk around the reservoir path. Yes, there are shops entirely devoted to spices. Couldn’t find sassafras at Ralph’s? Head to The Spice Table. The little store located down a charming alley off of Sunset Boulevard, is paradise for neurotic home cooks and creative restaurant mixologists. It is the go-to for any hard-to-find spices and the shop owners will even grind them in-house for you. Rumor has it that the fictional movie character Indiana Jones is based on a real life man named Antonia F. Futterer. Devout in his religious faith, in the 1920s, Futterer travelled to Syria, Jordan, Egypt, Cyprus, and Palestine in search of biblical relics from the Holy Land. He succeeded in discovering a trove of artifacts and mementos. With no place to store his treasure, he founded five-room museum in a Los Angeles house. His findings remain in the house to this day. The museum is open by appointment only for visitors to see for themselves the oil lamps, bottles, coins, ivory, silver Mideastern jewelry, tapestries and mummy casket that dates back to 600 B.C. What are your favorite things to do in Silver Lake? Be sure to let us know in the comments below! Heather Platt is a Los Angeles based freelance food writer, cook and photographer. She has authored the Dish Hack column for Los Angeles Magazine and is a regular contributor for LA Weekly. Follow her on Twitter and Instagram @heatheraplatt.